Apple today shared photos of its new Apple Shinjuku retail store, which will open on Saturday, April 7, 2018 at 10:00 a.m. local time. The store is located in the Shinjuku Marui main building -- a department store in Tokyo -- and marks the eighth location for Apple in Japan. 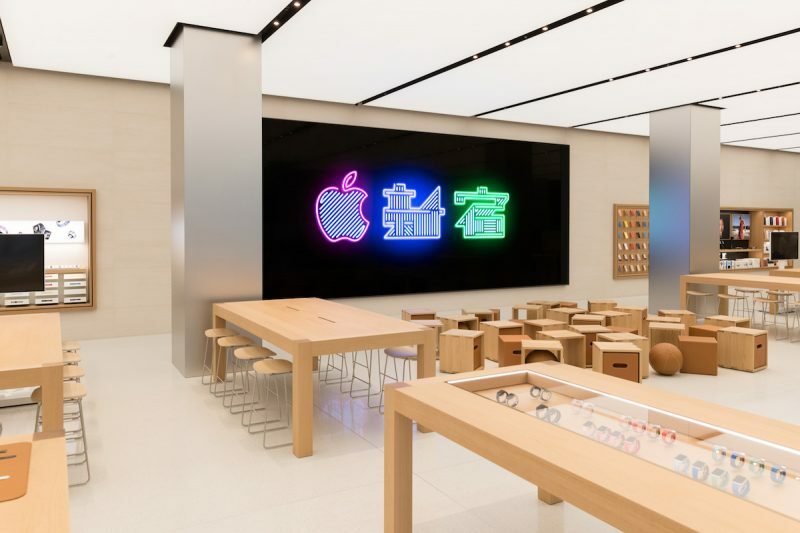 The interior pictures showcase the same neon banner that Apple posted on its website when it first announced the store, which is just blocks from Shinjuku Station in Tokyo's famous shopping, business and entertainment district. Also evident in the photos is Apple Shinjuku's expansive 37-meter glass storefront lined with local Longstock Holly trees, as well as familiar Apple store design elements including the Forum, with a dynamic 6K video wall, and Avenues, with interactive displays for visitors to get hands-on with third-party products and accessories. 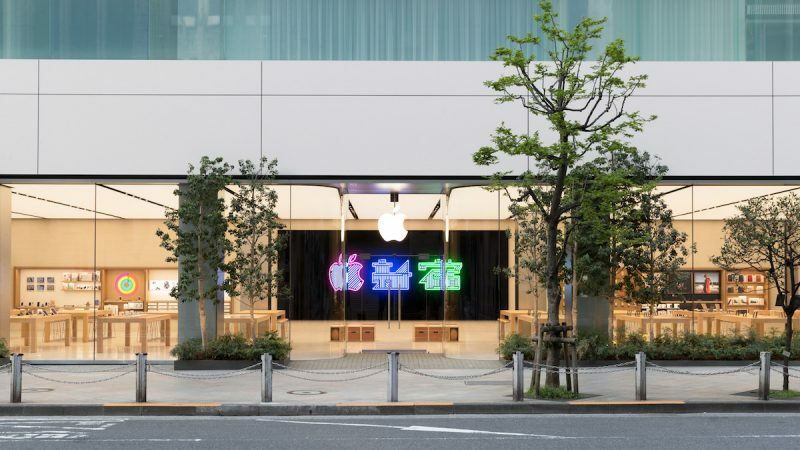 "Apple has a long and special history in Japan, and Shinjuku marks the first of several new stores we’ll open in Japan in the coming years," said Angela Ahrendts, Apple's senior vice president of Retail. 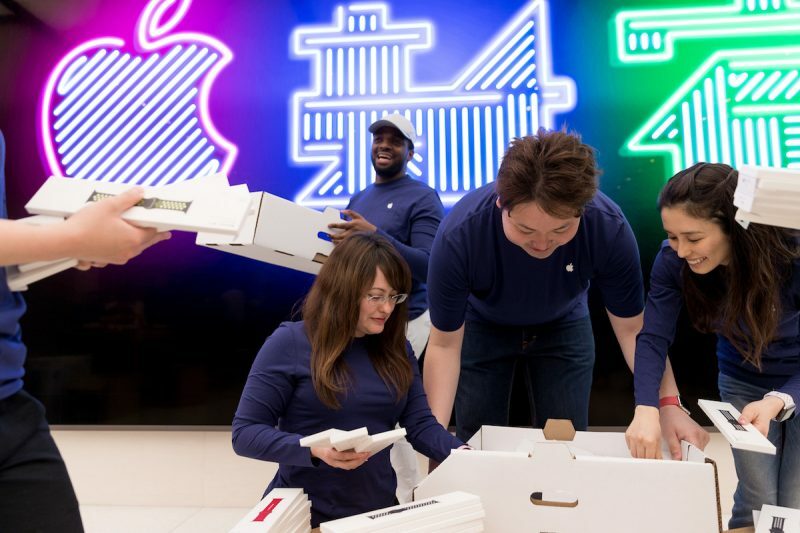 "We can't wait to welcome the vibrant community in Shinjuku to experience all the best Apple has to offer." As with other Apple Stores, Apple Shinjuku will offer free daily Today at Apple sessions covering art and design, music, photography, coding, activity and more. Participants start by learning the basics in Quick Start and How To sessions, then dive deeper into their creative interests with Music Labs, Sketch Walks and Photo Walks, including evening walks to capture the iconic neon lights of Shinjuku.